A Manhattan district court jury heard opening arguments on Monday about a 2011 patent infringement complaint filed by a former Sony engineer against Nintendo over the 3DS' display technology. Seijiro Tomita, a 30-year Sony veteran who retired in 2002 to create his own inventions, claims he met with Nintendo in 2003 to show the company his solution for displaying 3D visuals without requiring glasses. Tomita alleges that he demonstrated the then patent-pending technology for seven Nintendo workers and four of them went on to help make the 3DS. The US granted Tomita's patent in 2008, years before the 3DS' March 2011 launch, and he believes Nintendo is using his idea without permission. To right that wrong, he wants a pile of cash -- specifically, $9.80 for every 3DS that has been and will be sold. As of December 31, 2012, Nintendo has sold 29.84 million units worldwide. Assuming Tomita's request is awarded, he could be looking at a payment well into the hundreds of millions, but Nintendo isn't opening its coin purse without a fight. The company insists that its device doesn't use "cross-point" information, a core part of Tomita's patent that helps show 3D images across multiple displays. What's more, Nintendo said Tomita was far from the only person or vendor to show the company 3D display technology. "Mr. Tomita's meeting was one of hundreds," Nintedo's attorney Scott Lindvall said. 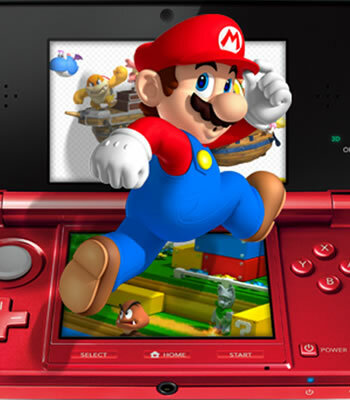 In fact, it was noted that the game maker held four meetings about 3D technology before even speaking with Tomita, including one in 2002 with Sharp, which now produces the 3DS' display.